A business music service helps consumer-facing companies select the perfect music to play inside their retail locations. Carefully curated songs and melodies sync flawlessly with the atmosphere of the stores, enhancing the consumer experience by providing a powerful sense of place and belonging within the location. The music that plays inside a retail store or restaurant is so much more than just background noise. 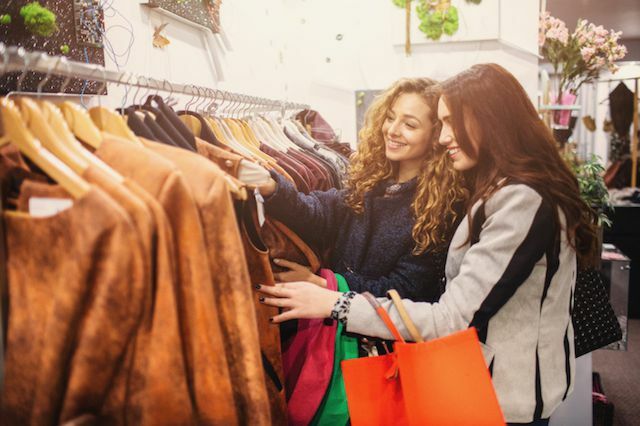 It represents a vital soundtrack to the shopping or dining experience - providing energy, escapism, relaxation or just general “good vibes” that help increase sales, motivate customers to walk the aisles longer, or even enhance consumer loyalty. But what happens when the types of customers who visit a business change throughout the day, week or even seasonally? It’s hard to please everyone with the same music mix. Plus, music that appeals to one group simply may not have the same positive effect on another. That’s when it helps to work with a music provider who offers Dayparting programs - custom content plans specifically designed to, when played, appeal to specific demographics at the established times of the day when members of said group are most likely to be in the store. What has matching sweat suits in the morning, fussy toddlers in four wheel carriages in the afternoon and teenage tastemakers with buying power in the evening? No, it’s not the rare American Retail Sphinx. It’s the Great American Shopping Mall and inside on any given day you’ll find very different types of consumers depending upon the time of your visit - and as you’d imagine, these groups respond to differently to the music genres they hear. Senior mall-walkers (who might like to hear nostalgic songs from their youth), busy moms pushing toddlers in strollers (who love the escapism found in great love songs) and young people (who prefer fast dance and techno-pop hits) searching for the coolest apparel while checking each other out aren’t all going to respond to the same music -- and that’s where Dayparting comes in. Dayparting programs give businesses the power to segment the music that plays in their stores - creating mini-playlists throughout the business day that speaks to each of the predominant types of people who are present. With Dayparting, a store or a mall can target certain hours of the day and play music specifically geared towards those demographics who commonly appear at that time, target certain hours of the day and play music specifically geared towards those demographics who commonly appear at that time. So older clientele will relate positively to the jazz and show-tunes they hear in the morning - and business owners won’t have to worry about offending them with the loud fast music their grandkids prefer. The mall’s younger patrons can now hear modern techno/dance/pop hits in the evening that speak their language - and put them in the mood to shop. Music selected according to time of day (Dayparting) helps deliver the music each of these distinct groups love - as if the mall and the stores within - have created a world made just for them. It may seem simple on the surface, but Dayparting plans are well-thought-out programs that help businesses connect with their customers by speaking their specific musical language. In the hands of a professional music provider working closely with their client, it’s art combined with science to create a happier, more engaged consumer. Cloud Cover Music works closely with their business clients to create Dayparting programs that reach all different types of consumers. Whether it’s a gentle tweak to the music program that kicks in after dark, new playlists for day/night programs that entertain wholly different age groups, or a whole new lineup designed to reduce shopper stress during the holiday season, the music experts at Cloud Cover Music know how to create Dayparting plans that work. To start getting the best in-store music for your business, visit our the Cloud Cover Music website and sign up for a 14 day FREE trial of the best in-store music.